Buildings are complex and sometimes problems arise that are not easily explained. Defects in building materials may become apparent during construction, or manifest after a number of years. We can advise owners, occupiers, and prospective purchasers on the causes of specific building issues, and how they may be overcome. 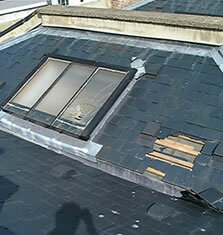 We will visit your building, to investigate, diagnose and understand the full extent of the problem. Occasionally, a more intrusive investigation will be necessary and we will then co-ordinate our services with those of contractors who are exposing parts of a building, or specialists responsible for specific testing. Following the inspection, we will prepare a detailed report scheduling the extent of the defects with analysis and recommendations to resolve the building problem. We aim to provide advice on the severity of any issue and its consequences and will discuss the options for any repair, with detailed explanations for the steps required to resolve the problem. We will talk you through our findings and can assist with any works recommended. We have experience of investigating cracking and movement, dampness and condensation, leaks, roof failures, timber decay and rot or woodworm. We are regularly instructed by solicitors in the resolution of construction disputes and, if a defect is the subject of a construction related dispute, we can provide an expert witness service. We also provide an inspection and report service for home owners of recently constructed properties where a dispute has arisen between the owner and the builder on the extent of snagging works remaining, or on the quality of the finished home. In this capacity, we have been instructed a number of times by the NHBC.